Antoine Williams’ art practice is an investigation of his cultural identity through the exploration of societal signs as they relate to institutional inequities. He has created a mythology, which has become a narrative catalogue of loosely autobiographical humanoid beings that personify the complexities of perception, which can affect race, class, and masculinity. His artwork is heavily influenced by sci-fi literature from such authors as Octavia Butler and H.G. Wells. Themes in science fiction can be analogous to the Black experience in America. Therefore, he has created a world of beings that personify the complexity within hierarchies of power in everyday life. 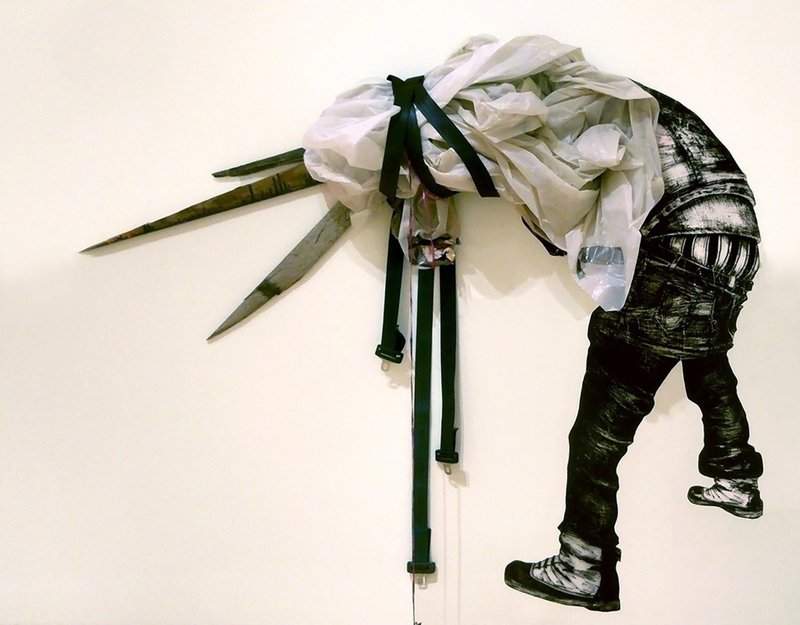 These figures manifest as mixed-media installations, paintings, drawings, and collage. These entities reference the Dadaist, who appropriated and re-contextualized images from society in order to create “anti-art”. Namely Hans Arp, who considered the destruction of “signs” as a subversive act. The signs he is interested in are tropes associated with the Black body within the American psyche. In the vein of Felix Gonzales-Torres, Williams’ is concerned with making the personal, public. These beings (which are nameless) are inspired by personal experiences from a rural working class, upbringing, in Red Springs, North Carolina that related to wider contemporary concerns. Inspired by the Amiri Baraka poem “Something in the Way of Things”, these beings live in the intangible spaces that exist between the nuances of class and race. They are both born of and perpetuate the actions and thought processes due to social reproduction. They exist in an abstracted purgatory.